Nuanced characters with shades of grey – Joyce's mystery and fiction book reviews with some non-fiction too! I ordered this book from England and am so glad that I did! This is the first mystery by M.B. Shaw (aka Tilly Bagshaw) who is a modern Agatha Christie or Ngaio Marsh. All of the elements for a successful series are in place and I hope that Ms. Shaw keeps writing. The characters are well developed and nuanced; each is unique and has a backstory. The mystery is solved through the protagonist’s acute observational skills. 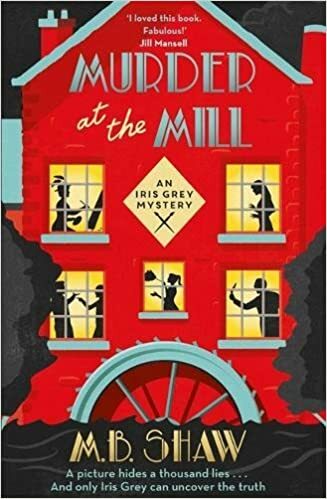 Iris Grey, amateur sleuth, is an artist who brings a certain sensibility to the small English village where she has rented a cottage. Getting to know her and the victim, successful author, Dom, and his family kept the pages turning. Highly recommended for mystery lovers with a British bent.